Yesterday we practised Present Continuous with a memory game in class. It was very useful and funny! 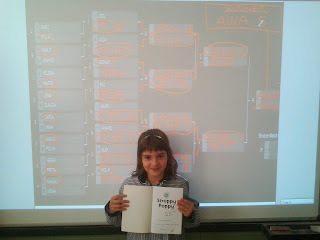 Then we organized a tournement and Aina Sánchez won it. The prize was a book in English. Congratulations!! !